Ready to Set Your Future in Motion? 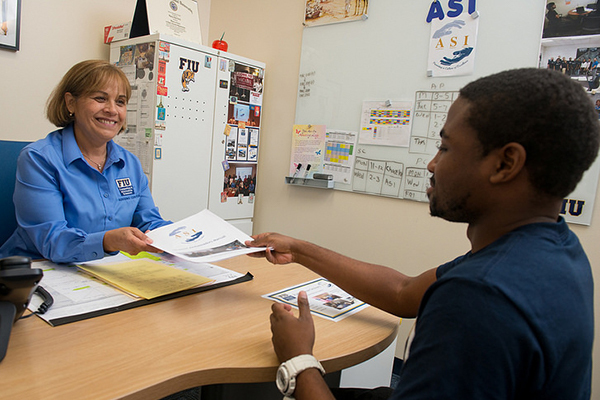 As Miami's only public research university, FIU opens doors to a world of opportunities. You can create the next five-star restaurant, build your own startup and go worldwide or become an agent of change in your community. It all starts with your application. Tell us what type of student you are and we'll guide you through choosing a degree, fulfilling admissions requirements, submitting transcripts, figuring out financial aid and applying. You are a high school senior, you’ve earned fewer than 12 college credits and you’re attending college for the first time. You are applying to FIU having earned your AA, 12 or more college credits or military credits. You are non-U.S. citizen seeking an undergraduate or graduate degree. You have a bachelor’s degree and are seeking a master's; doctorate's; or specialist degree or certificate. You are Florida student interested in earning college credits early through dual enrollment. You are seeking college credits from FIU towards a degree at another university or simply for the love of learning. You were previously enrolled at FIU as an undergraduate student and want to finish your degree. FIU offers a variety of pre-collegiate programs for students in Miami-Dade public schools. Panther LIFE is an individualized post-secondary education program to prepare students for life and higher education. Visit Student Access & Success for more programs.